VSPARS Congratulates Groupama Sailing Team!!! Congratulations must go to all teams that competed, and especially those who finished so close together in the podium results. 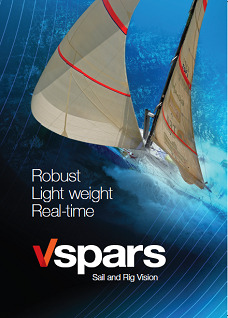 Every team in this 2011 / 2012 Volvo Ocean Race has used VSPARS either on board the yacht, or while testing initial sail designs in the University of Auckland Wind Tunnel. This Volvo has been one of the most tightly contested in the event's history with the winner of the race not decided until the very last Leg. This shows just how close the race has become. Now, more than ever before, every single element of the campaign has an influence on the final result. This is perhaps why so many teams are choosing VSPARS as an aid to quickly improve performance. As well as sail shapes, VSPARS calculates the rig bend and sag and therefore is used for rig setup. Like sail shapes, these results can be used in real time, output for use in other programs, averaged during post processing and also used as comparisons which are overlaid on the VSPARS plots giving real time trim and setup targets. At VSPARS we are looking forward to the next edition of the race and hope that it will be as exciting and successful as this 2011/2012 event.